With five days before the final showdown, Emmanuel Macron and Marine Le Pen face off in their last TV duel on Wednesday. Macron, who beat Le Pen in the first round by three percentage points, is widely expected to clinch victory in Sunday’s runoff vote; The Economist has gone so far as to give the National Front leader a mere 1% chance of victory. However, Le Pen has since made progress. She will undoubtedly benefit from the elimination of leftist candidate Jean-Luc Melenchon, who’s protectionist platform – including lowering the retirement age, increasing tariffs and holding a vote on leaving the EU – is similar to her own. While Melenchon urged his supporters not to vote for the National Front, diehard left-wing voters will view Le Pen as the only choice when confronted by Macron, a business-friendly economic reformist. After being promised the prime ministership on Friday, prominent right-wing lawmaker Nicolas Dupont-Aignan, joined Le Pen’s campaign and could help her attract conservative, middle-class voters. 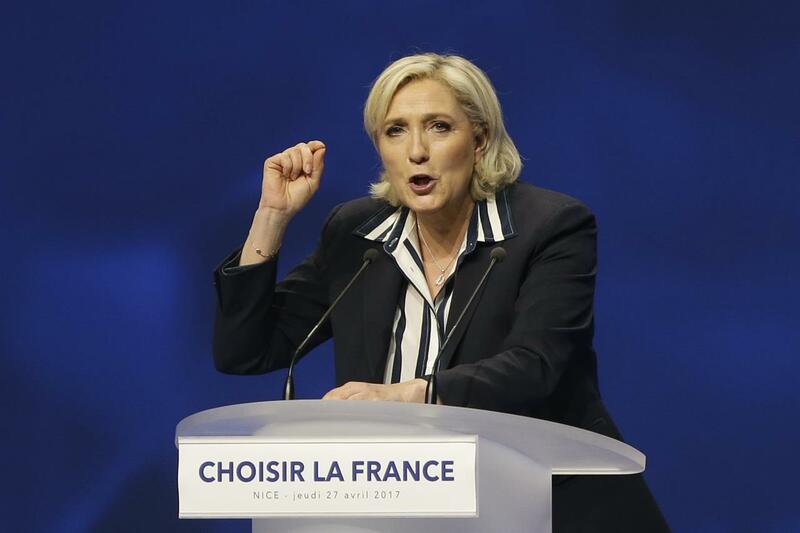 But despite Le Pen’s improving prospects, her chances are slim (although perhaps not 1%). She’s likely to attack Macron ferociously on Wednesday but it won’t be enough to close the gap.